More than 200 companies representing 40 countries are participating in the Belt and Road Brand Expo which was inaugurated in Shanghai on Friday. “Institutions and associations from countries and regions along the Belt and Road are attending the expo. 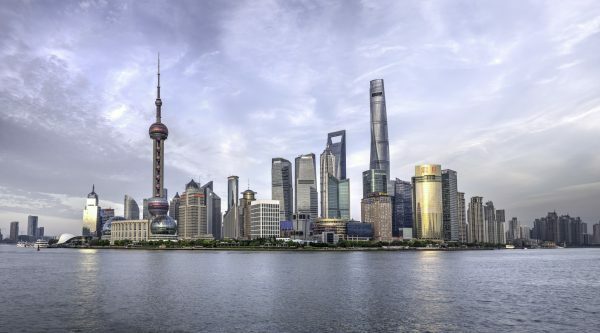 They are also looking forward to attending the China International Import Expo (CIIE) in November,” Yang Jianrong, head of Council for the Promotion of International Trade in Shanghai told local media Xinhua. China’s One Belt, One Road initiative aims to create a modern Silk Road Economic Belt and a 21st Century Maritime Silk Road to boost trade and extend its global influence. China has put in place a $40 billion Silk Road Fund to boost infrastructure projects along the route. A new map unveiled by Chinese news agency Xinhua shows the Chinese plans for the Silk Road run through Central China to the northern Xinjiang from where it travels through Central Asia entering Kazakhstan and onto Iraq, Iran, Syria and then Istanbul in Turkey from where it runs across Europe cutting across Germany, Netherlands and Italy. According to Xinhua, With the theme “Quality life to share,” the expo runs until July 1 and will then travel to Chongqing in November.